On December 23rd Herriman makes his final plea of the season for the Salvation Army, and then on the 24th gives a play at the Belasco the equivalent of a lump of coal in their stocking. Out in Minot, North Dakota, a little woman is teaching a district school. The teacher is well satisfied with her work, but, when the school day is over and the necessary hours have been given to the task set for her by the district board, this little woman takes up her drawing board and her pencils and sitting alone in her little room looks out across the wide expanse of a snow-covered country and dreams. The district school house fades away and she is in a newspaper office hard at work on a cartoon that with each stroke of the pen shapes itself into a direct appeal to the women of the new day. Men may not understand it, but the women will, for it is a message from a woman to the women. It is only a dream now, but Miss Emma M. Gordon, district school teacher in Minot, N. D., is sure that the dream is to come true. School takes up many hours of her day and the planning of future work takes many hours of her evenings, but still she finds time to work at her drawing board training herself for the future. Already she is a cartoonist, and her drawings are appearing regularly, but she is not satisfied with her work, and so she continues with her school and devotes her spare hours to her cartoons. Miss Gordon is a socialist, and she believes that when she has had an opportunity to speak to the women through the medium of her cartoons she will have many converts to her cause. She believes that the woman of today is a thinking being, not a stolid household drudge, and she is convinced that women cartoonists alone will be able to appeal to the women. "Women," she says, "are today entering fields which for centuries have been occupied mainly by men. In many branches women, yea, children, are taking the places formerly held by men. Look at our factories, our mills! "Can we not in this field show up by cartoons our present industrial system which takes the lives of men, women and children, and grinds them up into so much profit? "Cannot the cartoon show the CAUSE of the social evil? When we do away with the cause, won't we do away with the social evil? As a socialist, I, of course, believe we can't do away with the social evil until you first change the system that is the direct cause of it. Why not show it from a socialist standpoint? Why not educate women by cartoons how to use their vote properly when they do finally attain their right to vote? When once women understand Socialism Capitalism is doomed. "Women are home-lovers. Capitalistic newspapers have given them the impression that Socialism will destroy the home. That's an old bogey, used by Capitalism to frighten men and women away from Socialism. The way to treat 'bogeys' is to walk right up to them and investigate them. "The pen of the cartoonist is the weapon that should be used in ripping open these shams and a woman cartoonist working for the cause of Socialism could be able to present the woman's point of view in regards to our industrial, social and political questions. "Of all the women I have ever talked with about Socialism these four objections—free love, against religion, destroying the home, and "dividing up"—seemed to be the only objections women have to Socialism. Can not some cartoonist—a woman—educate them to a knowledge of Socialism by destroying these bogeys? For they are but bogeys continually brought forward by the enemies of Socialism and bogeys that I could make short work of if space permitted. "We need these women cartoonists to depict the woman's point of view as well as the world needs the men cartoonists who look at everything from the man's point of view." Miss Gordon was born in Visnaes, a little town in Norway. When she was still a child her father died and the family removed to Haugesund on the west coast of Norway. There she lived an open air life, learned to love the sea and the mountains and the independent spirit of the natives. She was nine years old when the family left Norway for Minnesota. She lived in Glenville, Minn., until she was eighteen years old, when she accepted a position as teacher in a North Dakota district school. Her first cartoon to be published appeared in the Minnesota Socialist, the organ of the Minnesota Socialist party, one year ago, and since that time she has contributed many strong picture editorials to that and other papers. More ammunition for the argument that women can't draw. Our little commie here sure can't. Best lady cartoonists i(n my opinion);Grace Weiderseim and Rose O'Neill. But ain't she just the cutest li'l Commie? Emma Marie Gordon was born in Visnaes, Norway on January 29, 1889, according to her U.S. Naturalization Record which was processed on December 14, 1945. At the time she lived at 2005 Hillside Avenue, in Minneapolis, Minnesota. In the 1900 U.S. Federal census she lived with her mother, Bertha, and older brother, Amos, on Main Street in Glenville Village in Shell Rock Township, Freeborn County, Minnesota. According to this census the family immigrated in 1897 but in subsequent census records the date is 1898. 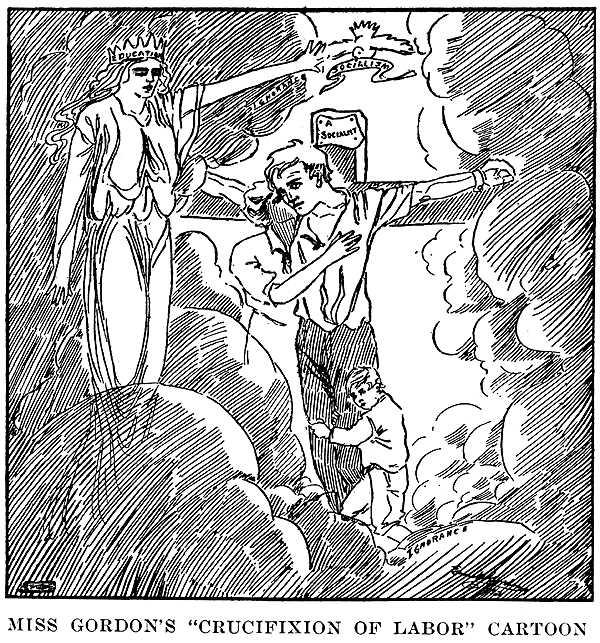 The "Cartoon" article said Gordon was 18 years old when she moved to North Dakota to teach; the year would have been 1907. Gordon lived in Soo, North Dakota, near the Canadian border, in 1910. Her occupation was "Teacher" at a "Public School". According to the book, Minnesota Prints and Printmakers, 1900-1945, "Gordon was a student at the Minneapolis School of Arts in 1913 and 1914. She won a scholarship and several awards there." The 1920 census has Gordon and her mother in Minneapolis at 2440 13th Avenue. The census enumerator recorded Gordon's occupation as "Art Girl" employed at an "Art Shop". Minnesota Prints and Printmakers, 1900-1945 said, "In 1921 she entered the Annual Exhibition of the Work of Local Artists at the Minneapolis Institute of Arts; three of her submissions were accepted." Also in 1921 she copyrighted five prints. Catalog of Copyright Entries. Part 4. Works of Art, Etc. page 335: Gordon (Emma Marie) Minneapolis. Christmas greetings. [Girl with Christmas packages] — Merry Christmas. against holly to cry, etc., old English carol. [Noel with a mandolin] © Oct.
24, 1921 ; 2 c. each Oct. 27, 1921 ; K 159754-159758. Mother and daughter were at the same address in 1930. Gordon was an "Artist" in the "Commercial" industry. "In the 1930s and 1940s she is listed in the Minneapolis City Directory as an artist or commercial artist. (The one exception is 1941, when she is listed as 'Artist, Walker Art Center. 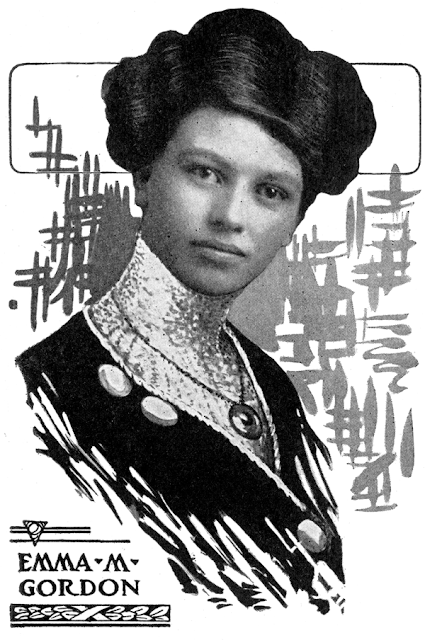 ')", according to Minnesota Prints and Printmakers, 1900-1945. The date of Gordon's passing is not known. I can't let Cole Johnson's blanket putdown of women artists pass without comment. Many talented and skilled women have made successful careers both in illustration and cartooning. Part of the reason there weren't more of them was the patronizing attitude expressed in this article about the "little woman" and her cartoons. Having said that, this sample still isn't a very good drawing. Gordon was still young; maybe she improved over time. Or maybe she didn't. What surprises me is how non-judgmental the article is about the little lady's politics. Even in 1913 socialists seldom got a pass in the mainstream media. An interesting sidelight is the heavily retouched photo. I have an old commercial art instruction book with a section about retouching photos for newspaper reproduction. It essentially tells you to paint out everything but the head, then go back and paint in "better-looking" clothes and background. To me the results always looked lousy, no matter how poor newspaper reproduction was Gordon's portrait is no exception. Calling her a 'commie' is cute, but she's listed as a Socialist, not a communist. Potentially a big difference- especially back then when each of those parties hd large numbers of adherents compared to today. Remember that the Communists collaborated with the Nazis to bring down the Socialists in thirties Germany. Thanks for posting this interesting story. I had noticed that Cartoons Magazine featured a number of women cartoonists during those years. There have been quite a few comic series carrying the title of Home Sweet Home, here's one of the more obscure ones from the late-teens. Jack Wilson, who spent a few years at NEA in Cleveland in the mid-teens, was at World Color Printing in 1919 and produced for a very short while a revival of their old Handy Andy strip. It appears that this Home Sweet Home feature was probably produced for them at the same time, though I've never seen these strips with syndicate stamps attached. Home Sweet Home was a quasi-daily strip. I say quasi-daily because it was obviously sold in batches to subscribing newspapers. In every one of the (few) papers where I've seen it the strip runs ROP on no consistent schedule. Earliest I've seen is in November 1918, the latest in November 1920. However, the latest I've seen it running even semi-consistently is mid-1920, so that was probably shortly after the final batch went out. This was put out by the Autocaster company, which supplied small town weeklies with editorial cartoons, column headers and type sets. Do you have a sample with a syndicate stamp or did you come by this info some other way? I have seen this strip as late as February 1924, by then drawn by Terry Gillikson, in the WIEMAR MERCURY, a weekly from Texas. "Autocaster" usually put their name at the bottom of the title panel. As an artist the shortcomings of Bernhard Gillam were many, but he was a brilliant cartoonist nevertheless, and, despite his artistic failings, he hit the nail on the head, when driving home a cartoon idea, more often than many of his technically clever brothers in the work. Gillam knew of his failings and he was extremely sensitive to criticism. He resented being told that any of his work was out of drawing. He was once mortally offended by one of his fellow artists on the staff of Puck, who, being a new arrival and unaware of Gillam's feeling on the subject, remarked to the cartoonist, "Gillam, if your salary ever gets as much out of drawing as some of your pictures do, even with the assistance of the cashier, you will never be able to gain anything like a fair idea of how your account stands with Puck." No hatter in the world would ever be able to secure designs for new models from the hats that Gillam drew, for the pictured hats were impossible, and never appeared to fit the wearer, and very often conveyed the idea that the owner had made the purchase of his headpiece in a place where they sold liquid refreshment and as much as one cared to carry away. But with Gillam it was not so much the perfect drawing as it was the idea, and he was gifted when it came to selecting the telling picture that would convey a lesson on the subject to be exploited in a cartoon. His pictures were always the drawings of original ideas and his admirers always waited to see how Gillam would handle the next big question. His "Puck's Dime Museum" might be cited as an instance. 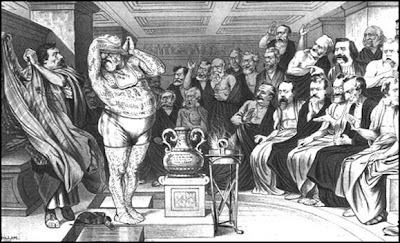 In the boom days of the dime museum period one of the greatest of the freak attractions was the "Tattooed Greek." In the tattooed man Gillam found the inspiration for one of his best ideas. President Arthur's term was drawing to an end and the Republican party was discussing its presidential possibilities. There were many statesmen in the party ready to step forward and accept the nomination. Lightning rods designed to attract the convention's bolt were being insulated in all political camps and the presidential bee buzzed merrily. John A. Logan, Roscoe Conklin, and James G. Blaine were the leading candidates for the nomination, and, turning the entire collection into a dime museum list of attractions, Gillam turned them into bearded ladies, ossified men, jugglers, and other freaks. He scored his triumph when he hit upon Blaine as the tattooed man. 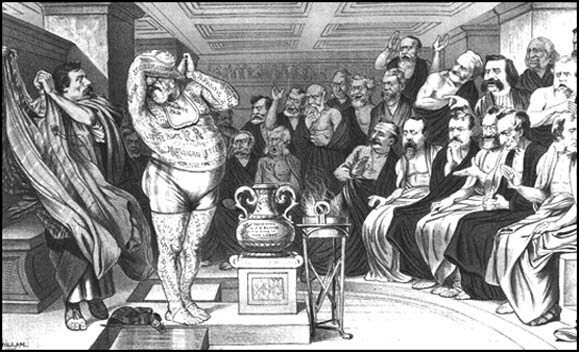 There were certain scandals brought out when Blaine was pushed forward as a presidential possibility, and Gillam pictured him with the scandals interwoven with the many tattoo marks. The "Tattooed Man" cartoon scored with its first appearance and became one of the features of the campaign. Gillam was born in England in 1858. His parents brought him to New York ten years later. He studied for three years in the schools of New York and Brooklyn, and then, though still a child, he decided that he would become a lawyer, and took up the study of Blackstone. He became interested in drawing about this time and found that art work appealed to him far more than did the study of law, and, as he improved in his art work, he finally decided to abandon the law books and turn to an illustrator's work. He began by taking up the study of wood engraving, and in a short time was able to secure employment as an illustrator of some of the serial stories being printed in many of the weekly story papers. This work alone did not bring him enough for his support, so he filled in the spare time by making crayon and oil portraits, designing show cards, and doing whatever wood engraving jobs that he was able to pick up. He found that he was meeting with remarkable success in his portrait work, although his pictures were bringing him but little, and he decided to make the work worth while by devoting his entire attention to it. He sought out an instructor and his improvement soon became marked. A painting of the Rev. 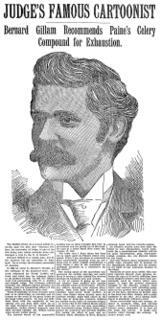 Dr. Ward Beecher, the famous Brooklyn minister, brought him local fame as a painter and orders for pictures poured in. Gillam, however, soon tired of the color tubes and brushes and again turned his attention to newspaper illustrating. He secured a position on the art staff of Leslie's Pictorial, a paper owned by one of Frank Leslie's sons, and here he did general illustrating work. Later he was put to doing caricature and comic work. His caricatures and his apt illustrations of the humorous stories attracted the attention of other editors and he was offered a position on the Graphic. The inducement was enough to win him from Leslie's Pictorial and he made the change, but he had not been on the Graphic long before Frank Leslie saw a promising cartoonist in young Gillam and secured him for Leslie's Weekly. On Leslie's Weekly his work steadily improved and his cartoons compelled attention. 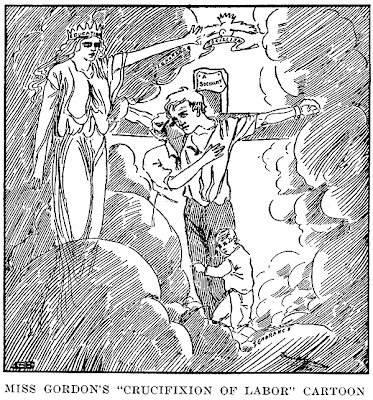 Nast was the cartoonist for Harper's Weekly at this time, and there was considerable rivalry between the followers of the two men. Gillam's friends always insisted that he was doing work as attractive and effective as that of Nast. 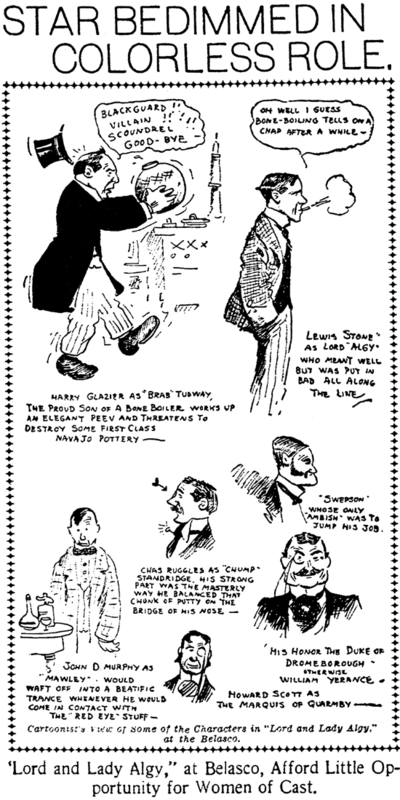 Gillam's work on Leslie's Weekly did not escape the attention of Joseph Keppler, the editor of Puck, who was constantly reaching out and securing new talent for his comic weekly, and overtures were made to Gillam by the publisher of Puck. Gillam finally accepted a flattering offer and in 1881 went from Leslie's to Puck. On Puck Gillam worked but a few months before he had made a national reputation. He became known as one of the most forcible and, at the same time, mirthful political cartoonists of the country, but at the crest of his success Joseph Keppler died and Gillam's work fell off. Keppler had been his good friend and confidant, and the cartoonist was deeply affected by his death. About this time James A. Wales and several others organized a company for the purpose of beginning the publication of another comic weekly—Judge—and Gillam was asked to become a member of the company. With Keppler dead, he found nothing to bind him to Puck, so he accepted the invitation and cast his lot with the new publication. Bernhard Gillam was a gifted man in many ways. He was a great student of Shakespeare and, blessed with a remarkable memory, he was able to read whole plays of the immortal bard. In the 1870 U.S. Federal Census, Bernhard Gillam was the fifth of eight children born to Sewell and Lucy. Bernhard was his middle name, William being the first. They lived in Williamsburgh, Brooklyn. In 1880 the Gillams lived in Brooklyn at 239 Sackett Street (the Cobble Hill neighborhood). Gillam's occupation was "Portrait Artist", which was the same as his younger brother, Fred Victor, who was on staff at Judge, for 20 years, according to the New York TImes. Munsey's Magazine, February 1894, wrote this, "Victor Gillam is a better draughtsman than his brother, although not nearly so prolific in ideas." Bernhard Gillam...died this morning at the home of his father-in-law, ex-Senator James Arkell, of Canajoharie [N.Y.]. His death was the result of typhoid fever…. …He was always drawing things—the faces of people he passed on the street, the teachers, and his companions at school. He had great ideas of doing wonderful pictures of tragedy, but no one admired his attempts at such high work, although everyone laughed at his caricatures…. …About seven years ago he married the youngest sister [Bertelle] of his business partner, W.J. Arkell. There is one child [a girl] of this marriage, now two and a half years old. …He was the first man at the editorial rooms of Judge every morning, and the last to leave at night. When he was not bending over his own work, he was advising, encouraging, directing. He read until far into the morning, and was easily astir. …In personal appearance he was slight, dark and very pale. His eyes were clear and penetrating, his hair and moustache almost black. His quick, nervous movements indicated the restless energy of his character. A conference between W.J. Arkell and the leading artists of Judge…was held last night, and plans for the future conduct of the weekly were arranged. Mr. Arkell…said: "You may say that the policy of Gillam in connection with Judge will follow as closely as possible, and the artists of his own selection will carry on his work. His cartoon assistants, who have been scattered, will be brought to the home office. Gillam received a salary of $25,000 a year and a percentage of the profits from the paper. I have decided to divide this equally among the staff artists who have been on the paper ten years." Mr. Gillam willed all his property to his wife. His estate is valued at $250,000. This is one of those reprint books that has been overdue for, oh, about fifty years or so. Chic Young's Blondie, which became staggeringly popular after a rough patch at the start, has long been one of the world's favorite newspaper strips. And the mythology of those early years, years in which the strip ran in very few papers, has long been whispered about not only among serious comics fans but by casual readers as well. We've all heard that Dagwood came from an ultra-rich family, of his infamous hunger strike to win Blondie, and of him turning his back on the Bumstead millions in favor of an air-headed flapper named Blondie Boopadoop. Yet never during all these years have we seen more than just a fleeting taste of those years, a week's worth of strips reprinted here or there. Rumor had it that the Young estate bore some ill-will to the publication of these early strips, though it seems hard to imagine why. Or perhaps they were holding out for a lucrative publishing deal. Not being on the inside, I don't know what kept these strips out of sight all those years. But finally Dean Mullaney and IDW have issued the complete story (well, sans Sundays, which oddly follow a different continuity and are therefore sort of beside the point). After facing all the stumbling blocks to the publication, including simply finding all these ridiculously rare strips, the obvious question is whether it was all worth it. In my opinion, a very mildly qualified 'yes'! 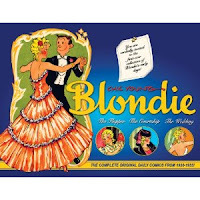 On the down side, these early years of Blondie are rather repetitive -- Dagwood is blocked over and over from marrying Blondie in plot lines that can become monotonous in their similarity. Evidently Young, knowing how few papers were running the feature, and that he was being picked up and canceled with regularity, had a tendency to dog it a little in the originality of his stories. However, the same can be said of many humor strips, and if you put this book aside occasionally and come back to it fresh a week or two later, the repetitiveness is far less noticeable. On the plus side, the stories really are pretty darn funny. There's a lot of slapstick, a lot of airhead flapper humor, and no shortage of punch lines that can still elicit a smile or a guffaw nearly four score years later. And of course there's the allure of Blondie herself, deliciously illustrated by Young as a supremely delectable dish. Blondie still has the 'hot mom' thing goin' on today, but in 1930 she was more like Frank Godwin's Connie, a waif-like vision dressed in translucent chiffons and figure-hugging satins. And speaking of the artwork, we mustn't forget that the great Alex Raymond was honing his cartooning chops assisting during this period. Though undetectable most of the time, it's great fun to discover Raymond's sensibilities popping up occasionally. Nowhere is he more evident than in a sequence with uber-hunk Gil, a car mechanic who threatens to steal Blondie's heart forever in one of the odder stories (Dagwood disappears for several months, signaling that perhaps Young had cold feet over the durability of his Dagwood character). As is usual with Mullaney-edited reprint volumes, the reproduction is excellent, the strips printed reasonably large (reduced only about 15% from their original printed 6-column size) and the restoration sensitive and thorough. Add to that an interesting Brian Walker intro illustrated with some rare ephemera of the strip, and you have quite an attractive package. Hopefully a second volume will appear so that we can see just how the scatterbrained, head-over heels in love pair adapt to married life and the loss of the Bumstead fortune. Ah, the lost ark of comics continuity. I look forward to seeing this one, thanks for the heads up! J. Carver Pusey, marginally famous for his 1930s Sunday and daily comic strip Benny, still has a small coterie of fans who admire his deft cartooning style and knack for pantomime. Benny was a strip about a little mute vagabond who wore an oversize coat. Before Benny, though, Pusey had a long run with another pantomime strip about a put-upon cat. 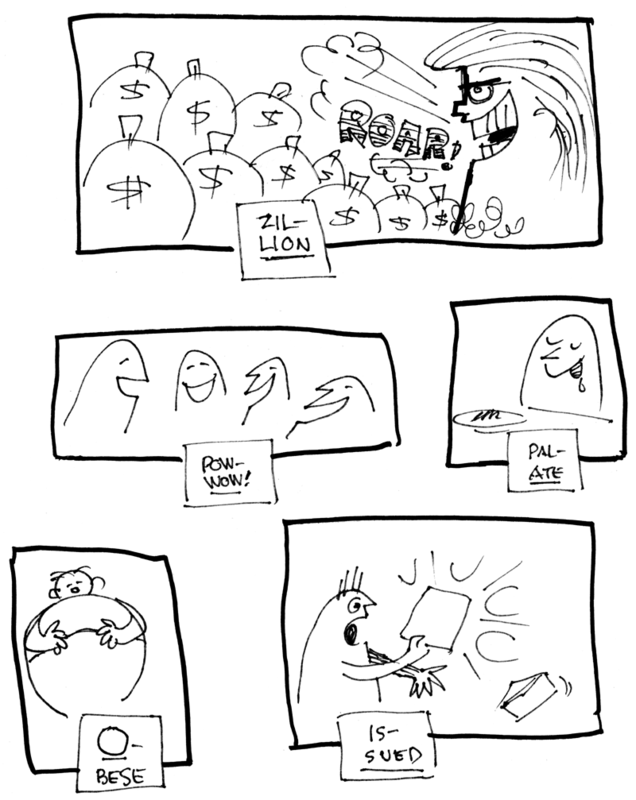 The earlier strip was titled Cat Tales. Cat Tales is a bit of an enigma, as is just about everything about the publicity-shunning Pusey and his creations. It started out in or before 1917 as a seldom seen offering of the Associated Newspaper co-op syndicate. Being with Associated means that the strip was almost certainly done for one of its member papers, but Pusey is only known to have worked at the New York World and supposedly the Philadelphia Inquirer (I say supposedly because I've never seen any evidence of his working there myself), neither of which were members. Cat Tales does show up at the Associated-member Philadelphia Bulletin, but not with enough regularity that I'm ready to place him in their bullpen. Anyhow, the strip goes back at least to September 1917, the earliest I've seen, and perhaps farther. Although the strip was undeniably clever and attractive, Associated Newspapers co-op members sure didn't seem to think much of it. It is seen rarely in those days and continues that way well into the 1920s. It's so seldom seen that it would not surprise me at all to find that the strip went through periods, perhaps long ones, when production was ceased. Sometime in the 1920s, though, Cat Tales switched to the nascent United Feature Syndicate, and thereafter isn't quite as stealthy about its mere existence. However, the daily strip was dropped sometime in 1929 shortly after Benny began its syndication through Press Publishing, the syndicate of the New York World. With the aid of a more energetic syndicate, Benny became a modest success. Between the success of Benny, and a short stint of Pusey writing for the Marx Brothers, evidently the always barely above water Cat Tales was considered expendable. That's not the end of the story though. Sometime in 1930 (or perhaps even in 1929) the Benny strip gained a Sunday color adjunct, and Cat Tales was revived as the topper strip for it. This second (or maybe third or fourth?) chance for Cat Tales lasted until December 1932 or early 1933 when it was phased out of the topper spot in favor of a new Benny companion strip, Opportunity Knox. In 1918,"Cat tales" was also a small strip done by Pop Momand that was always put below Keeping Up with The Jonses like early Krazy Kats were stuck to the bottom of the Dingbat Family. James Carver Pusey (Jr.) was born in Avondale, Pennsylvania on February 18, 1901 as recorded on page 288 in "The Ancestry and Posterity of John Lea, of Christian Malford, Wiltshire, England, and of Pennsylvania in America 1503-1906". In the 1910 U.S. Federal Census, Pusey was the oldest of three children born to James and Susan. The family lived in Norristown, Pennsylvania. In the 1920 census James Sr. was no longer with the family. In 1930 Pusey was married and lived in Greenwich Village, Manhattan. He married Margaret around 1927. 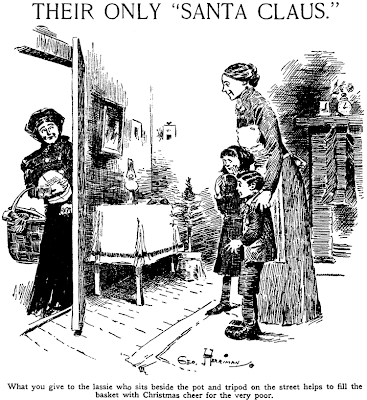 Pusey was working as a cartoonist for a newspaper according to the census. Pusey with his silent character the inimitable Benny. World notified him of Benny's acceptance. later married, began drawing in earnest. at night because he never manages to get started until then. The date of Pusey's passing is not known. Ha! Alex, you did it again. Fantastic stuff, a nice little portrait of a very shadowy character. Pew-zey indeed! This is almost becoming a game. Can I come up with someone so obscure that you can't run 'im down? Got one coming up Thursday that will be a challenge. The bane of the researcher -- a guy with a very common name! Hello, All---J.Carver Pusey died on July 16, 1953 at his apartment in Philadelphia. He left behind a widow, Doris, and two daughters from his first marriage, Polly and Susan. ----CJ. page 131: Pusey, J. Carver—cartoonist—Rimes with newsy, unless you pronounce that noozy; if so, call him pew'zy.